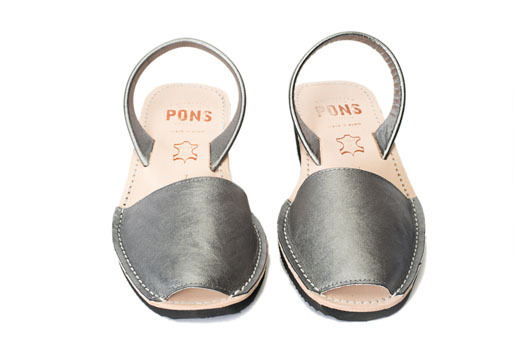 Our Wedge Pons Avarcas in Metallic Pewter offer a cool hue to help update your look. Whether it’s jeans and a t-shirt or pairing them with a dress, this color is a wonderful neutral to add to your closet. 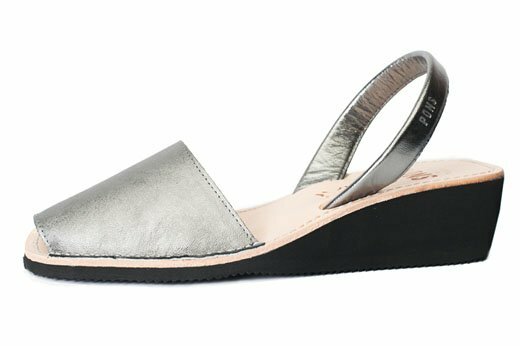 Handcrafted on the island of Menorca in the Mediterranean Sea, our Pons sandals are made with the finest natural leather and have a lightweight vulcanized rubber sole with a heel height of almost 2 inches (3.80 cm).